If there is a painting you should pore over on a first date, When Shall We 3? (Scenes from the Life of Nijinga Mbanda) by Kimathi Donkor should probably be it. Certainly, depending on how the conversation flows and what twists and turns it makes after viewing the artwork, on view at his exhibition at Gallery Momo, Joburg, might determine whether you are compatible. 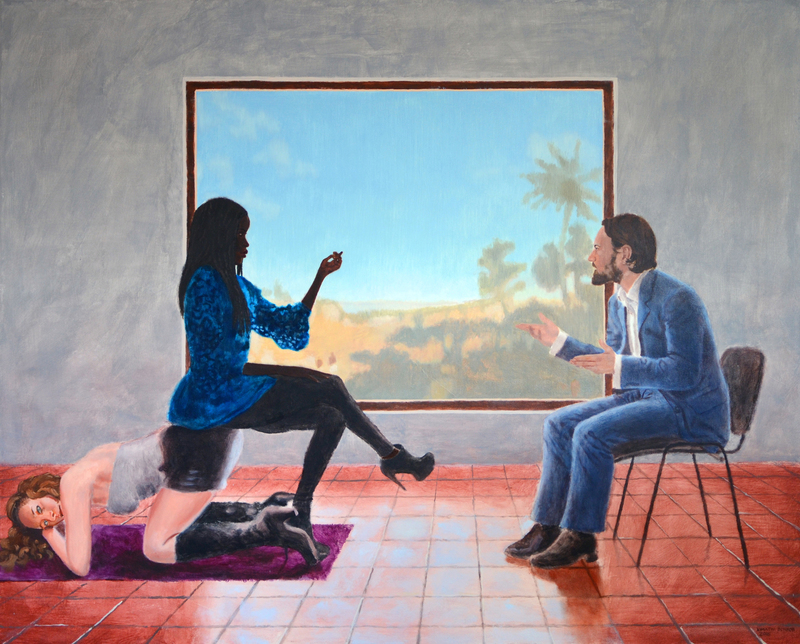 It’s such a loaded painting, with so many triggers for conversations about gender, race and history, that it would provide the ultimate litmus test for a new couple. Not that this is what Donkor had in mind. This fairly reserved Englishman, who has been in the South Africa for the past month on residency at Gallery Momo, doesn’t seem to be totally aware of how provocative When Shall We 3? (Scenes from the Life of Nijinga Mbanda) is, well certainly in this country where race and colonial history continue to be hotly debated topics. Some Clarity of Vision shows at Gallery Momo, Johannesburg until October 10.